At sterling Design & Construction we are licensed and do every type of home improvement and construction related service to our clients but what we love to do most is build dream homes and create dream spaces. Media center are usually an addition that is put in for someone with a passion for movies or has always wanted such a room. Even better, is when it is for your children. When our team brings the family in for the first time after completion, the children’s reaction to media centers is priceless. This space is a room for whatever you want it to be for. 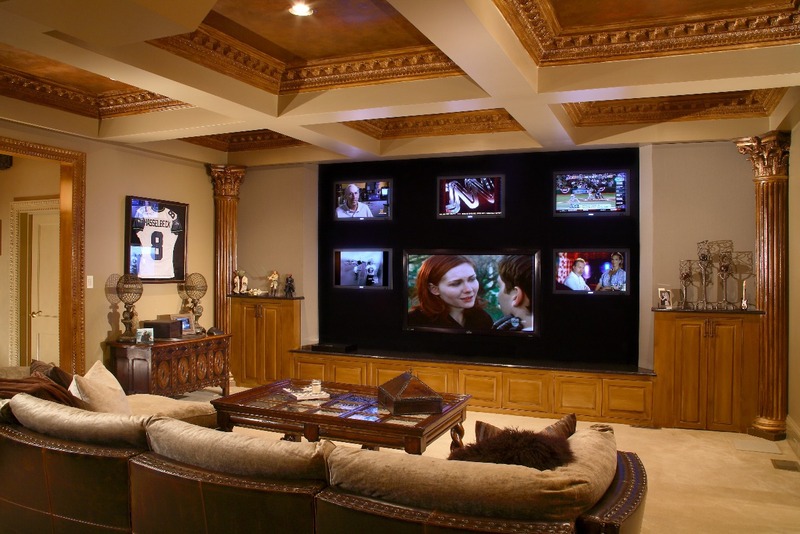 You will work with our team to fully customize every single addition to your media center. 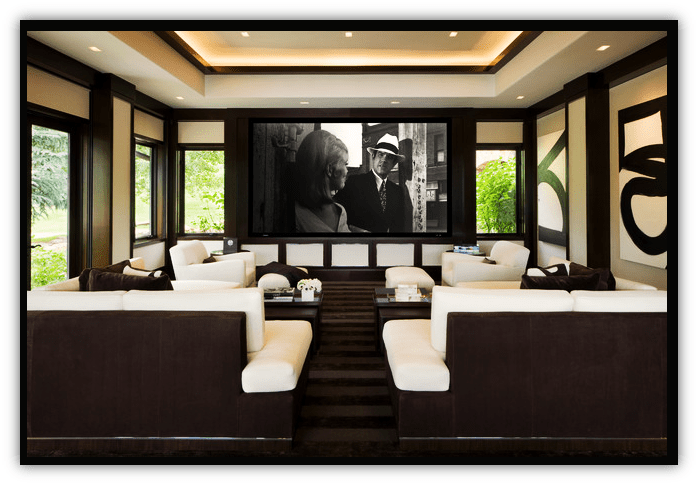 You can choose to have a large TV that disappears into the wall when not in use, cinema drapes that open with the press of a button or touch screen remote/automation. Lighting that starts out perfectly bright according to your tastes and then with another touch of the controller, the lights not only dim down but do a 360 rotation before turning off as a fun indication that your film will be starting soon. Of course with most media centers, we would install a full sound system that can be completely hidden to really give you a theater effect for any activity in your media centers. Your media room will be designed and hand-crafted to make this room addition to your home a room with technology smart features, sleek architecture and comfortable yet unique interior design. Call us today to discuss your media center ideas and we will set up a complimentary consultation to enter in a preliminary sketch of your media center into our digital software that will create a 3D design of your project so that you can see what it would look like before moving forward. Our software also allows us to give accurate pricing for your project that same day.